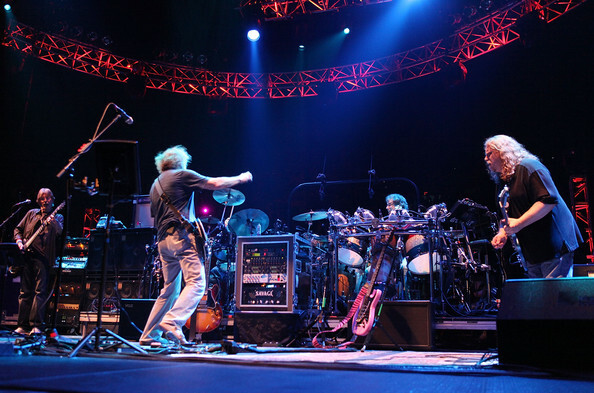 Phish returned to the stage in 2009, with a more than triumphant year of playing. 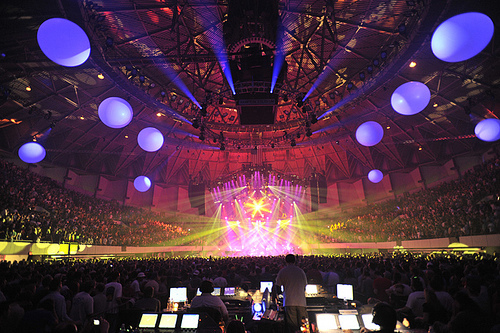 The reunion began with a historic 3 show run at Hampton Coliseum in March. 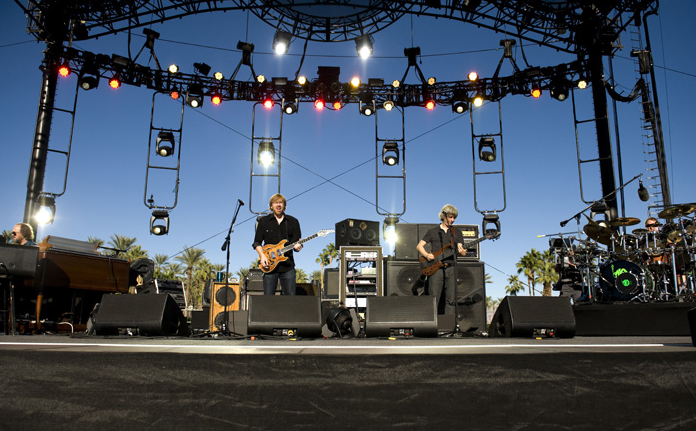 Things just got better as the year went on for The Phish – the band released a new album, ‘Joy’, and hit the road for a big 2-leg summer tour, Halloween at Festival 8 in Indio, CA, an East Coast fall tour, and New Years in Miami. 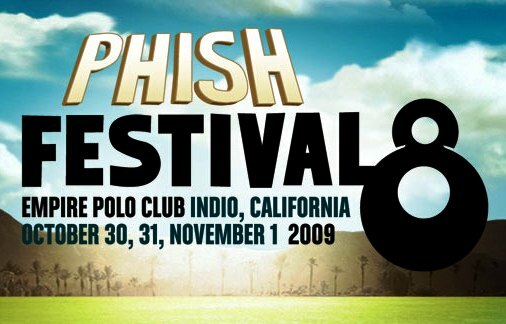 All in all, 2009 was a great year to be a Phish-head! 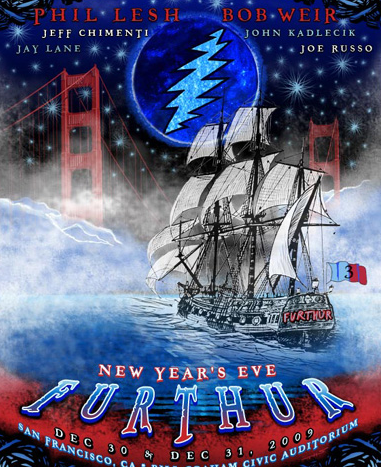 Phil Lesh and Bob Weir shocked deadheads everywhere in August of 09′ when they announced their newest post-Jerry Dead project: Furthur. Unexpected to all, Phil and Bobby called on John Kadlecik, aka ‘Faux Jerry’, aka ‘The Ghost of Jerry’, DSOs long-time axe-man, to join the band. 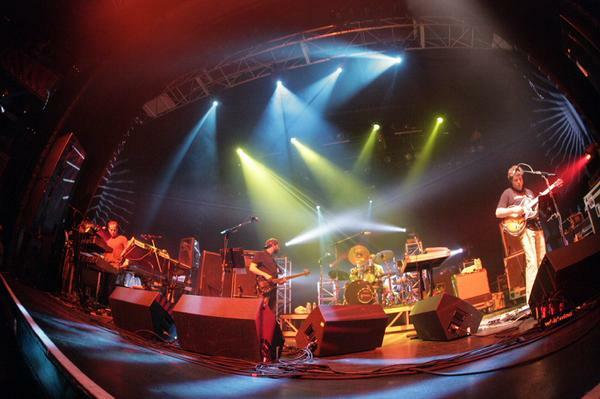 The new project laid to rest indefinitely both Phil Lesh and Friends and Ratdog, and dealt a major blow to DSO, leaving them without a front man. In the 6 months the band has been together, they’ve played a big coming out 3-show run in Oakland, a brief Northeast December tour, New Year’s run in San Fran, and a smoking Winter tour of the East Coast and Midwest. Coming up in 2010, the band will hit the stage for a Memorial Day Festival and a mini-tour of the Northeast in late June and early July. 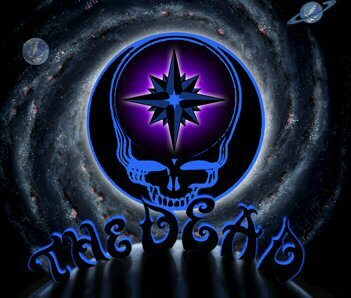 Months before Furthur, the Core Four reunited for the first time in over 5 years for a one-off Spring Tour across the US. 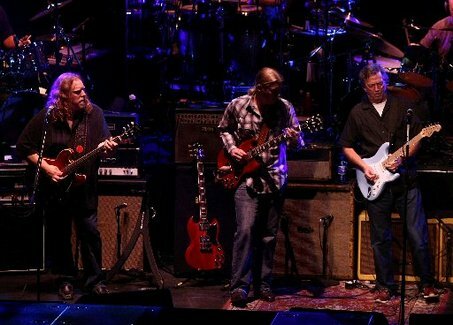 The boys were joined by Warren Haynes on lead guitar and vocals, and Jeff Chimenti of Ratdog on the keys. Check out a few tour highlights below for download! The Disco Biscuits closed out a fantastic year of playing with their second Annual 5 show run at the Nokia Theater in New York City. By all accounts and from personal experience, this string of shows was top-notch and a real exclamation point on the year for the band. 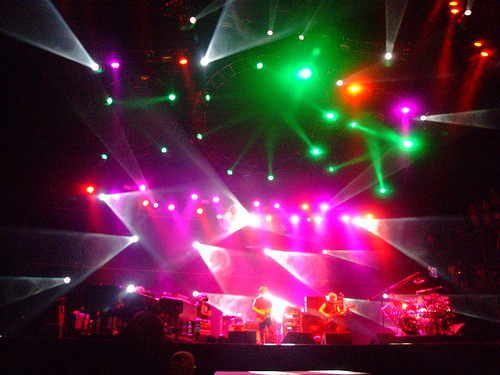 Check out choice downloads, videos, and news from 2009 in the Bisco Archive. 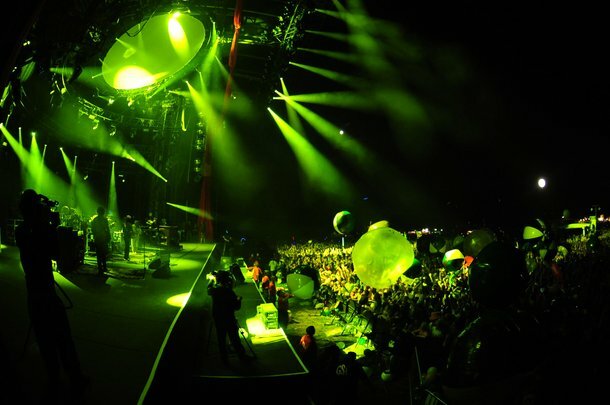 Phish re-launched two traditions on Halloween weekend 2009 with their first festival of Phish 3.0 along with a highly anticipated Halloween musical costume set – The Rolling Stones’ ‘Exile on Main Street’. Breaking new ground, the band also performed an intimate and picturesque acoustic set at Noon on Sunday, with complimentary donuts and coffee for phans. Truly a magical weekend, and it’s now going to be seen like never before in a full length 3D film being released April 30th. Check out this crisp video/audio stream of the Sunday acoustic set here! 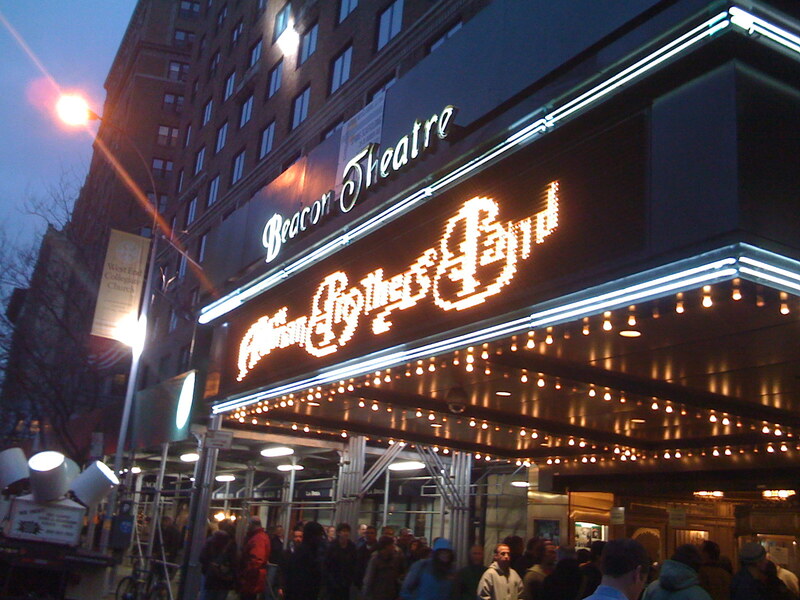 After canceling their annual Beacon run in 2008 due to Greg Allman’s battle with Hepatitis C, the band returned in 2009 with a guest-filled 40th anniversary run at the Beacon Theater. 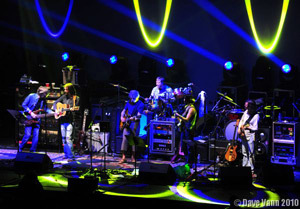 The run included guest stops from a star-studded cast including Clapton, Lesh, Weir, Helm, Scaggs, Anastasio, and McConnell. The band kept trucking in 09′ with spring and summer festival appearances including Wanee and Mountain Jam as well as big summer and fall tours. 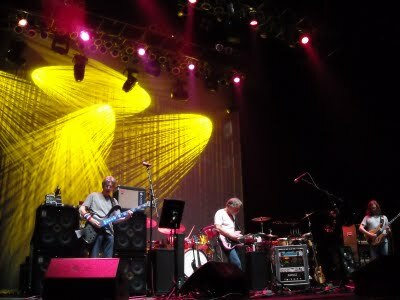 The band just wrapped up a fantastic 9 show run at the United Palace in New York city, is sounding better than ever, and has more shows plotted for 2010 already. Check out setlist, vids, and a review of the final night at the United Palace here. 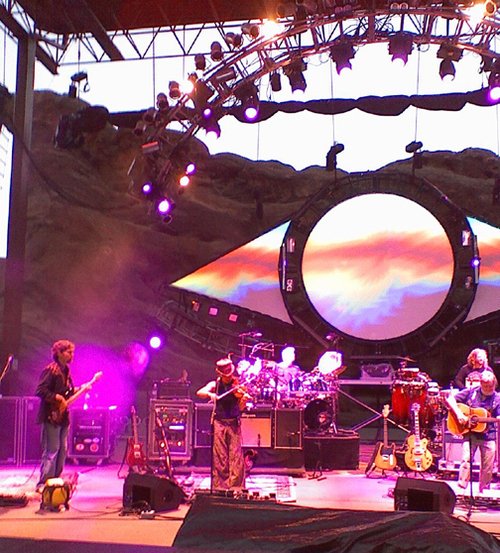 The String Cheese Incident reunited for a special one-off show at 2009’s Rothbury music festival. The band put on a massive spectacle of a show enhanced with massive light and art installations. The show went off with flying colors, so much so that the band has decided to tour further in 2010, with gigs at Red Rocks and beyond already announced and more in the works. To get a taste of the Cheese to come, buy the Soundboard of the Rothbury show here. 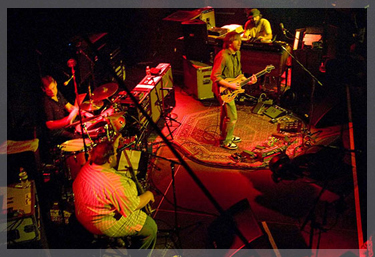 Having brought back the core four of his Classic Tab Band – Russ Lawton, Tony Markelis, Ray Paczkowski, and, of course, Big Red himself – in the Fall of 2008, Anastasio hit the road with a bigger-and-better Classic TAB band a few months ago in the Winter of 2010. For the tour, Trey added to the core four with a 3-piece horn section featuring TAB vets Jeffier Hartswick and Russell Reminton along with new-comer cutie Natalie Cressman. The tour was a massive success and featured some of the most enthused and passionate guitar work from Trey since Phish’s 2009 return. Check out lots of downloads, setslits, vids, and more in the TAB Winter Tour archive, enjoy! 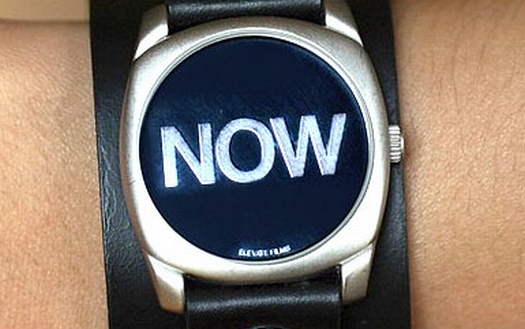 And remember folks, WELCOME TO NOW! In honor of Memorial Day and the beginning of summer, enjoy this classic rock gem – The Dirty Mac Sessions featuring John Lennon, Eric Clapton, Jimi Hendrix, Keith Richards, and Mitch Mitchell! This was recorded as part of ‘The Rock N’ Roll Circus’ in 1968. The track list touches on The Beatles, Led Zeppelin, and Jimi Hendrix cuts with an raw bluesy feel and virtuosic playing from some of rock and roll’s greats. From the Rock ‘N’ Roll Circus, The Dirty Mac Sessions! If you haven’t noticed, we’re big on the whole guitar gods thing over here on Welcome To Now. Let’s indulge some more with two killer bootlegs – one from Stevie Winwood and Traffic and the other from Eric Clapton and Derek and the Dominoes. Both of these shows take place at the historic Filmore East in New York City in the 1970s. This is the stuff legends are made of. This Traffic show has crisp, pristine sound and just flows with creative energy. The band’s jazzy grooves cut with Winwood’s incendiary guitar lead create breathtaking psychedelic jams – without any overindulgent noodling. Winwood keeps things grounded but this show definitely takes off. Mr. Fantasy and Medicated Goo are highlights but the whole thing just flat out rocks and the band dosen’t miss a beat. While not as crisp sounding as the Traffic show, this early Clapton/Derek and the Dominoes bootleg really captures the un-cut and raw energy and talent of Clapton. Check out Clapton’s great use of the wah wah effect in this show and the diversity in sound between his tone-filled fender riffing and laid back wah wah wailing. You can clearly hear Hendrix’s influence in his sound at this point and see Clapton explore some more experimental jams than his later year. Check it out, you won’t be disappointed. Let’s give a nod to some of the greatest guitar players of our time: First, more from the L.A. Forum where the Dead layed down a solid showing last night. In this bootleg, Eric Clapton performs with Joe Cocker, Carlos Santana, and Keith Moon. This is a widely circulated and revered bootleg and is a must have for all collectors. This bootleg is what it’s all about: great sound, great playing, great musicians, great venue – perfect. Clapton is really on point, both in his guitar playing and singing during this performance. While his ‘no snow, no show’ days were definitely over by 87′, he certainly gets his crazy fingers moving and keeps things very upbeat. Unlike so many of his peers, Clapton has survived the ups and down and has aged well – seemingly improving with age while maintaining a fresh sound. To see for yourself, enjoy this tasty 87′ bootleg and then check out his summer tour with Steve Winwood.